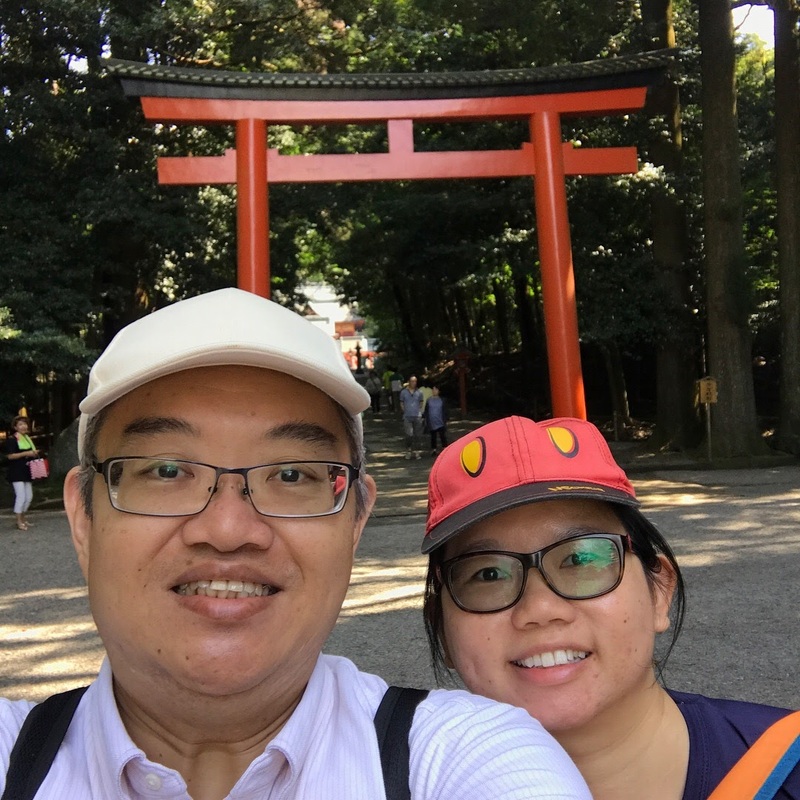 We were feeling very excited today, as we would be visiting 霧島神宮 Kirishima Shrine (aka Jingu), which worships 天孫瓊瓊杵尊 (Ninigi-no-mikoto), the grandson of 天照大神 (Amaterasu-omikami), the Sun Goddess. 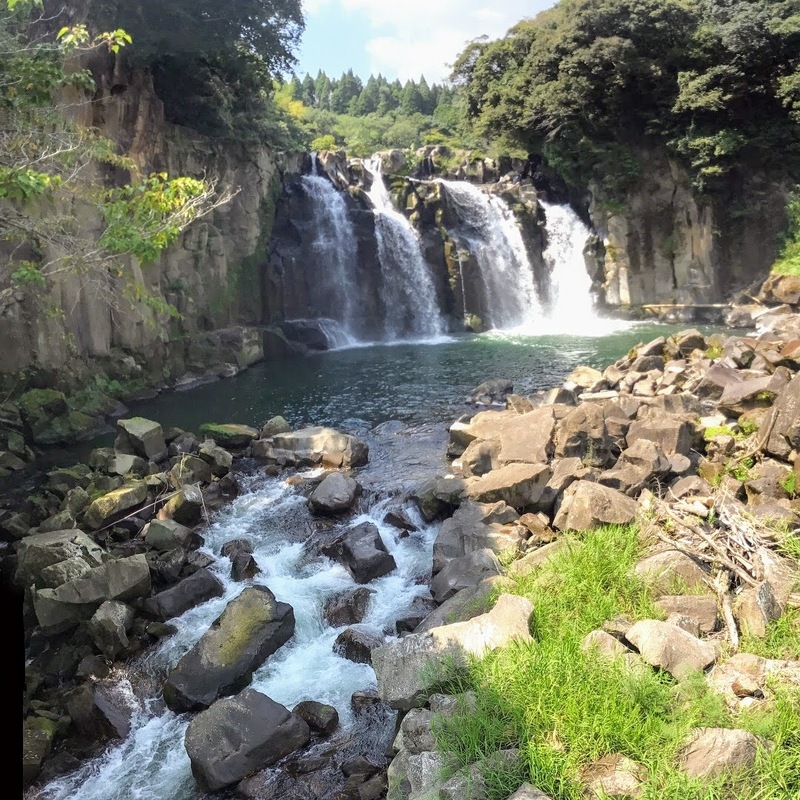 According to Japanese mythology, Kirishima is the place where Ninigi-no-mikoto arrived in Japan, in accordance to Amaterasu-omikami’s orders to reign over the ancient Japan, and subsequently, his descendants were the Emperors of Japan, first being 神武天皇 Jinmu-tennō Emperor Jimmu. 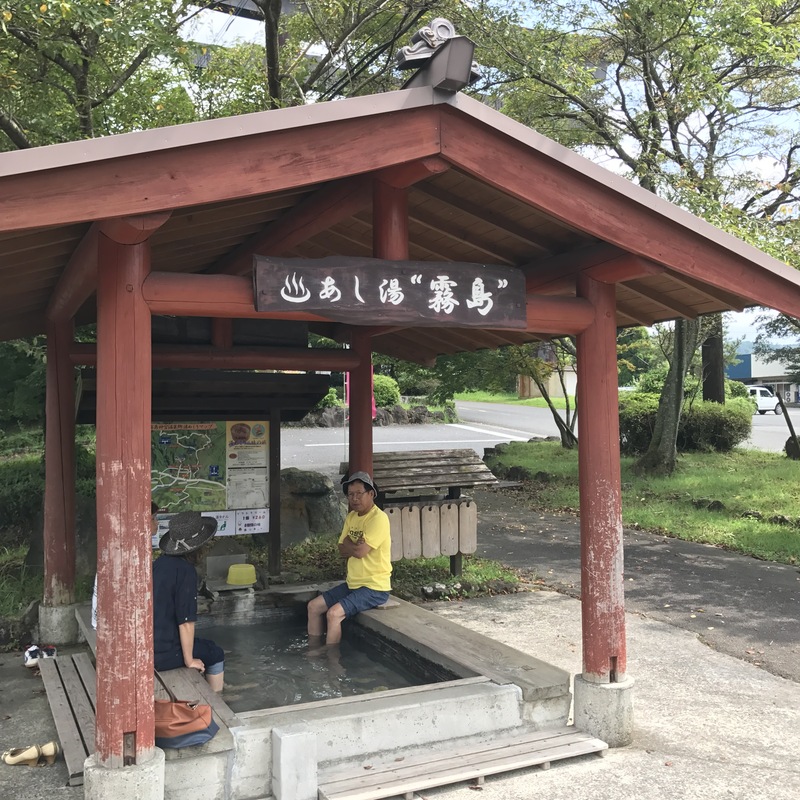 We visited 鵜戸神宮 (Udo Jingu) Udo Shrine (2 days ago) which worships 鵜葺草葺不合命 Ugayafukiaezu-no-mikoto, the father of 神武天皇 Jinmu-tennō Emperor Jimmu and son of Ninigi-no-mikoto. 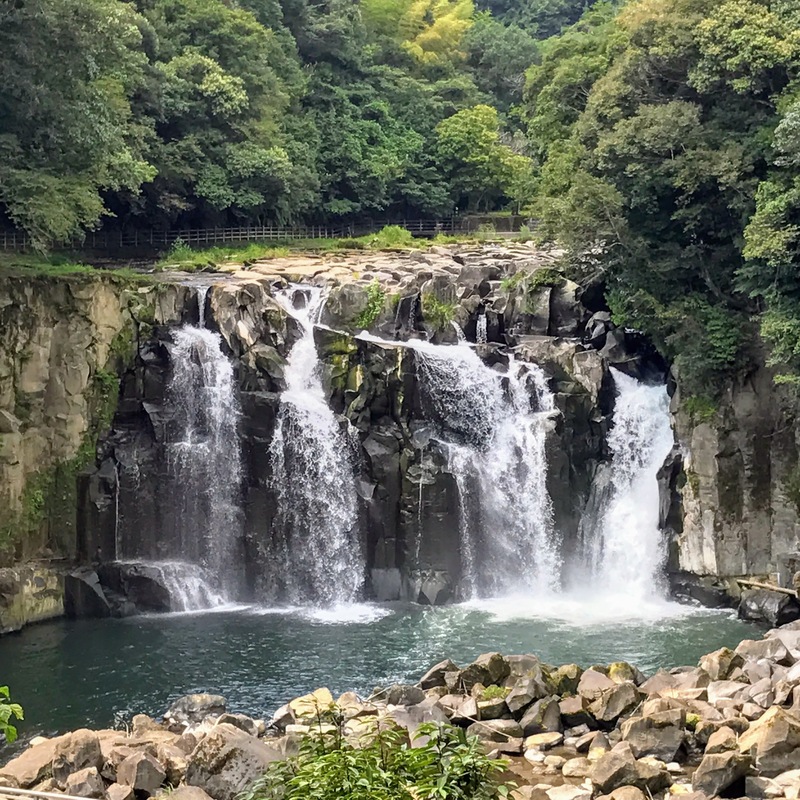 Miyazaki is truly the land of Japanese Mythology, and there are many more shrines dedicated to these mythological deities. 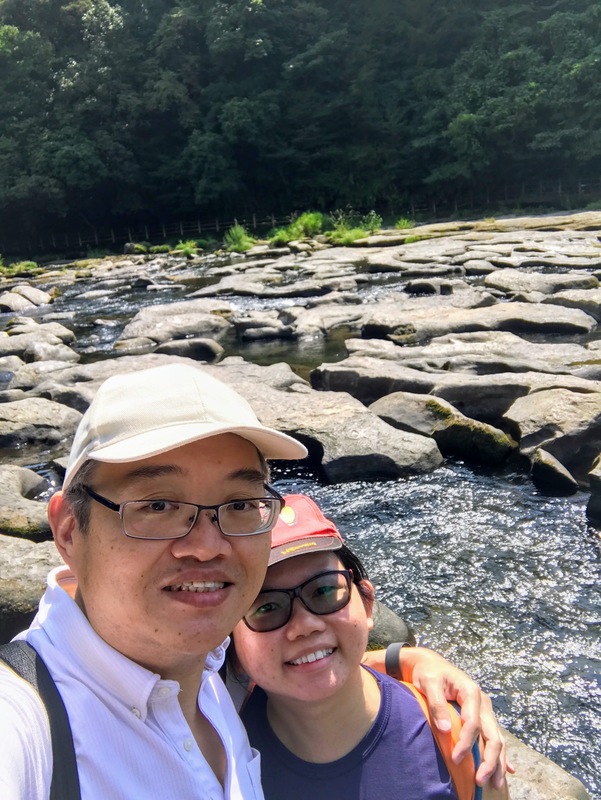 Armed with our Southern Kyushu Area Pass (3-day unlimited unreserved rides on JR trains at ¥7000 and comes with 10 reservations), we took a 75-min train ride from 宮崎駅 Miyazaki Station to 霧島神宮駅 Kirishima Jingu Station (¥2920 one way without the pass), followed by a 15-min ¥250 bus ride from the bus stop on the left of the station (opposite the toilets). The greenery backdrop of 霧島神宮駅 Kirishima Jingu made it really special. Super tall trees enshrouded the area, and it was quite a pleasant stroll. 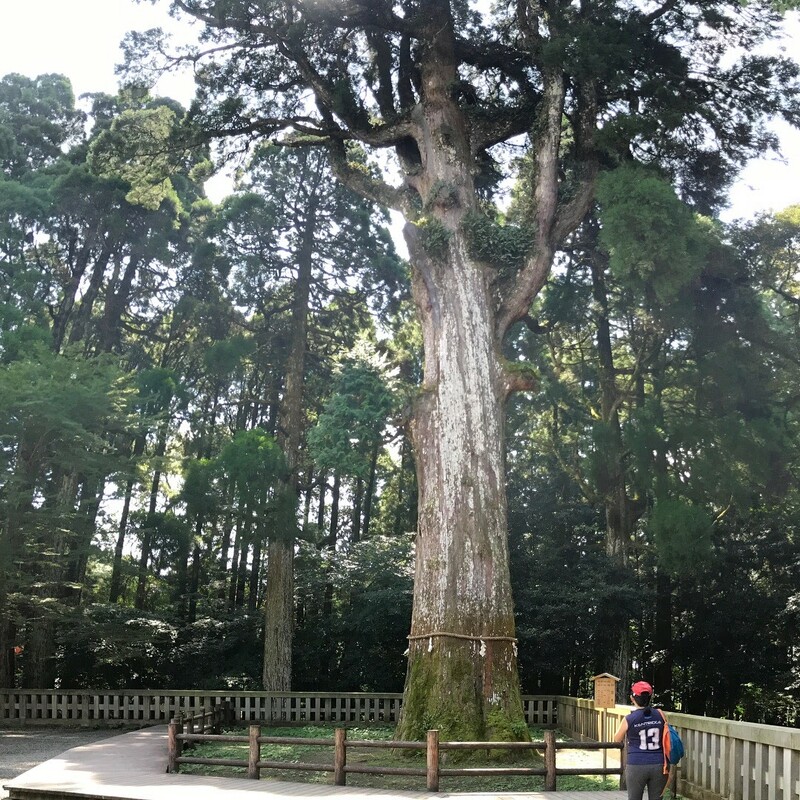 Do remember to check out the gigantic cedar tree near the main shrine! At 38-metres tall, this 800 year-old 御神木 (Go-shinboku) Sacred Tree was believed to be the ancestor of Japanese cedars across southern Kyushu. Unfortunately, the main shrine hall area was not opened to public (we could only peeped in, and there were some form of prayers going on), so it took us less than 1 hour to finish seeing everything. 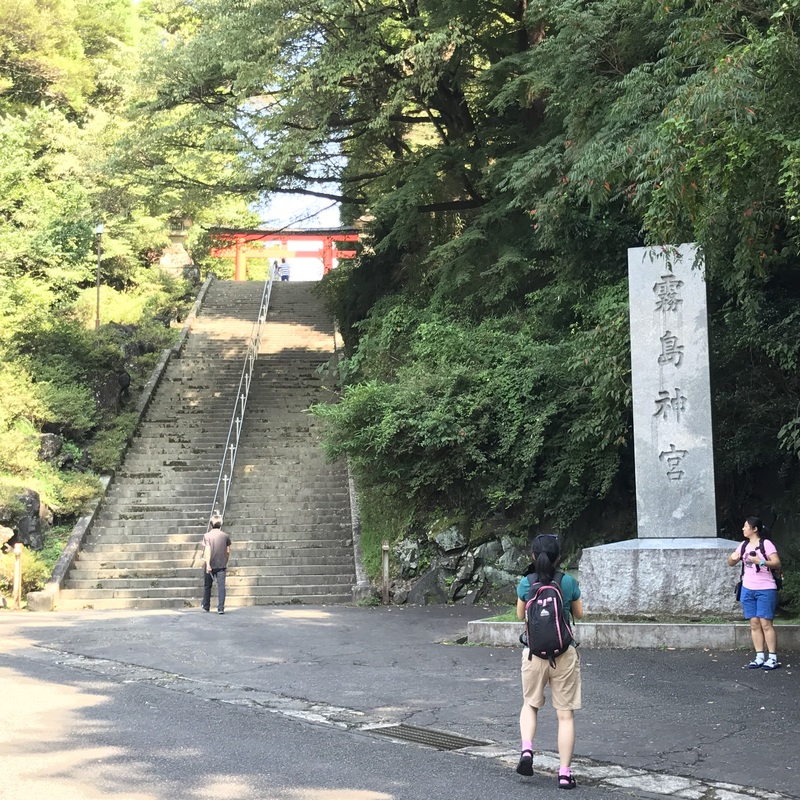 That left us with some time to check out the Tourist Information Centre near the big 鳥居 Torii gate at the foot of the hill. 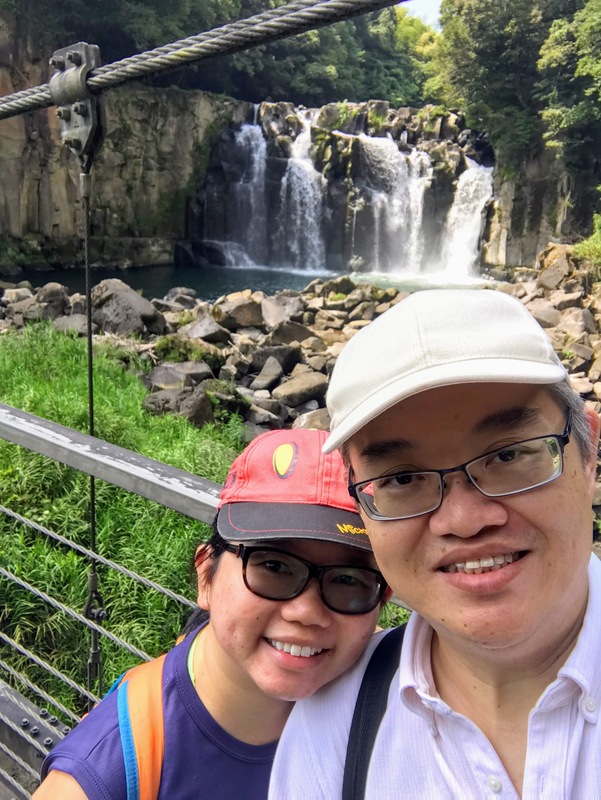 The lady staff was super nice; not only did she gave us a map of the walking route to the 関之尾 Sekinoo Waterfall and checked the bus schedule for us, she also helped us contact the staff over there to check if there might be places available for lunch. Sadly, there were only food available during summer holidays. The 12-seater 高崎バス Takasaki bus (going towards 都城駅 Miyakonojo Station) arrived around 12pm, and a grand total of 6 passengers got up. The driver took note of where everyone wanted to alight, and made announcements at the required stops. Do prepare sufficient cash (¥820 each), as there did not appear to have coins exchange machine on this bus unlike the others (we saw the driver return some change to a passenger, but we were not sure how much spare cash he had with him). 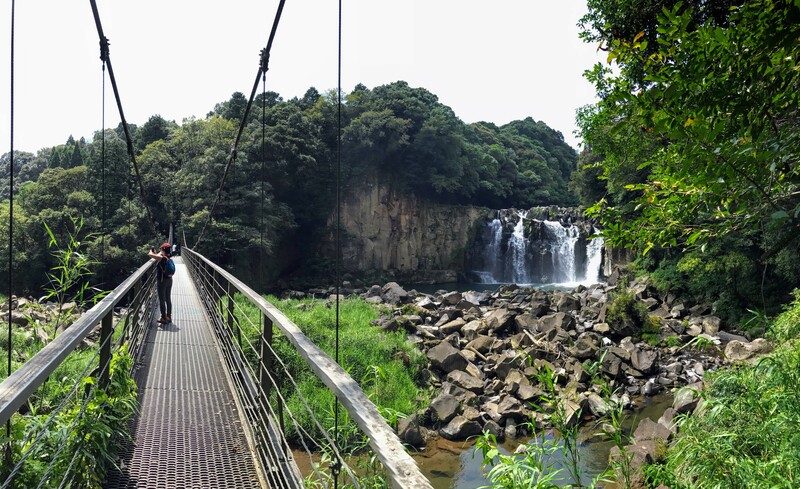 We reached 関之尾滝 Sekinoo Waterfalls bus stop at 12:35pm, and interestingly, there was no “bus stop” at where we alighted. Instead, the bus stop was opposite the road, with schedules of buses running both directions. We took note of the bus timings, and made our way towards the souvenir shop/tourist information centre, which was near the start was of walking trail. We spent some time at the souvenir shop, getting some drinks (and hence, coins for the next bus trips), and using the Miyazaki Free Wi-Fi (our own SIM card gave us spotty connection here).